What kind of Rose is this? Can anyone tell me what kind of rose bush this is? I need to prune it and treat it for rust but I don't want to harm the several hummingbird nests that are in the bush. I'm hoping to find more specific instructions once I know what kind it is. It is in Southern California and is about 7 feet tall. 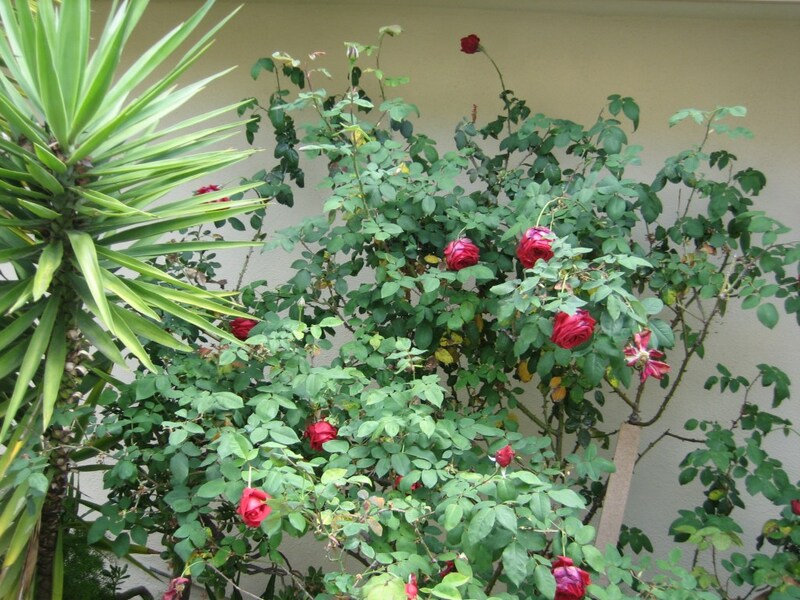 If it blooms once a year then do not prune it until after it has bloomed (next year). Once bloomers are probably developing flower buds now. 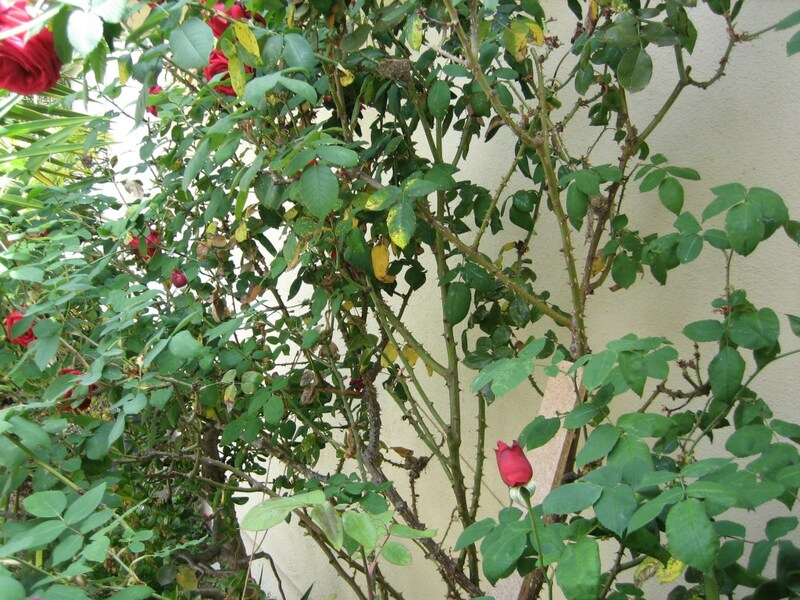 If it is not a once bloomer, you could either prune it now or wait until it goes semi-dormant in winter and prune it (about 1/3) then. Thanks, but I'm more interested in finding out what kind of rose it is. I'd like to be able to research its idiosyncrasies (plus I just want to know). I can't do the 1/3 that you mention because of the hummingbird nests I'm trying to protect. I also can't prune between October and June due to hummers sitting on eggs and raising young. I have pruned quite a bit of unoccupied bush and will try to treat the rust. But will need to wait until next June to do more. luis_pr wrote: If it blooms once a year then do not prune it until after it has bloomed (next year). Once bloomers are probably developing flower buds now. If it is not a once bloomer, you could either prune it now or wait until it goes semi-dormant in winter and prune it (about 1/3) then. Can someone please tell me what kind of rose I have?